LAWRENCEVILLE – On October 25th, Peach State Federal Credit Union celebrated the future home of their newest branch in downtown Lawrenceville with a groundbreaking ceremony attended by credit union Board and staff members as well as representatives from the city. Pilates now open in Peachtree Corners! Tara Kalson, a Certified Fletcher Pilates Teacher and Rhode Island native is a force to be reckoned with. 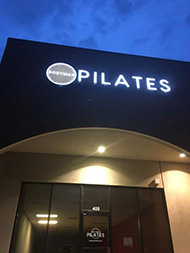 Merely 3 years after relocating to just north of the Atlanta perimeter, she upgraded her home-based Pilates studio to a storefront location; BODYMAX Pilates, in Peachtree Corners. At its regular monthly meeting, the Gwinnett County Board of Education tapped two current assistant principals as the new leaders of Duluth and Lanier high schools. 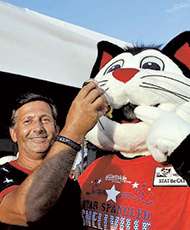 Edward Sezonov is known throughout the southern part of Gwinnett County as “The Snellville Honey Man”. Every Saturday during the Snellville Farmer’s Market’s June-to-September season, he mans a booth and sells the local honey he harvests from the 40-odd hives he maintains.